When you build your budget, look at all of the costs you will incur over the holiday season, not just gifts. You still have time to purchase, wrap and mail packages that are heading out of town. Make sure these gifts, as well as the shipping costs, are part of your budget. After you've got what you need for someone, cross them off your list so you're not tempted to keep on buying. Keep a running tally to help you stay on track. Santa checks his list twice--so should you! Choose off-peak times to do your shopping. Eat first, bring a bottle of water, and don't go if you're stressed and off your mark. It takes energy to make good choices and to stick to your plan, even if you're shopping online. Check that you and your family are outfitted for the season, including special events and holiday functions. Dry-clean something already in your closet. A new accessory is less expensive than a whole new outfit. Don't wait until the first snowflakes fall before you winterize your vehicle. If you are travelling by car over the holidays, now is the time to make sure the car is ready for driving in cold weather. Finalize your holiday meal plan, not forgetting about the additional meals and snacks you'll be enjoying with those who come to visit. If you plan on attending potlucks or holiday open house-type gatherings, choose easy to make recipes with affordable ingredients and short preparation times. Make time in your plan to relax with family and friends to keep your spirits high and balance out the busy times. Focus on traditions that make more memories than bills. Your shopping and to-do lists for the next 4 weeks might be long, but going deep into debt and getting stressed out shouldn't be on your list. Once the holidays are over and you start receiving your bills, create a plan to pay off what you owe and learn how to make a plan for next year. 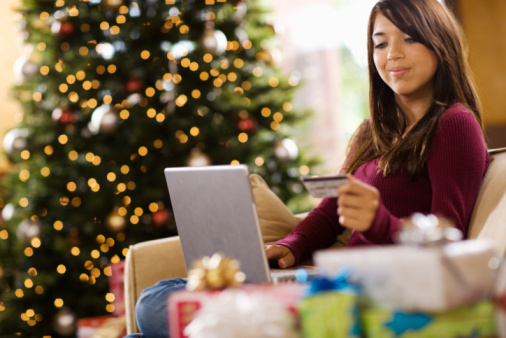 As many as three-quarters of Canadians need to find ways to save up for holiday shopping; you can be one of them! If you need help creating a budget, starting a holiday savings plan or getting rid of debt, contact a non-profit credit counselling agency in your area now. They'll be happy to help you get started!